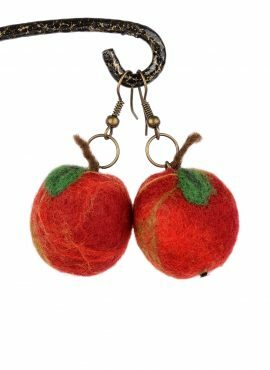 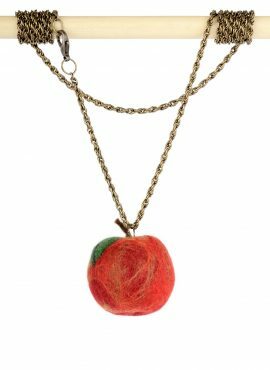 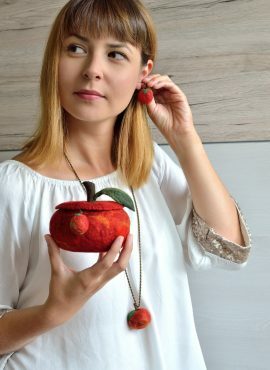 This apple jewelry set consists of 3 pieces: a pair of apple earrings, an apple pendant and a cute jewelry box with apple shape. 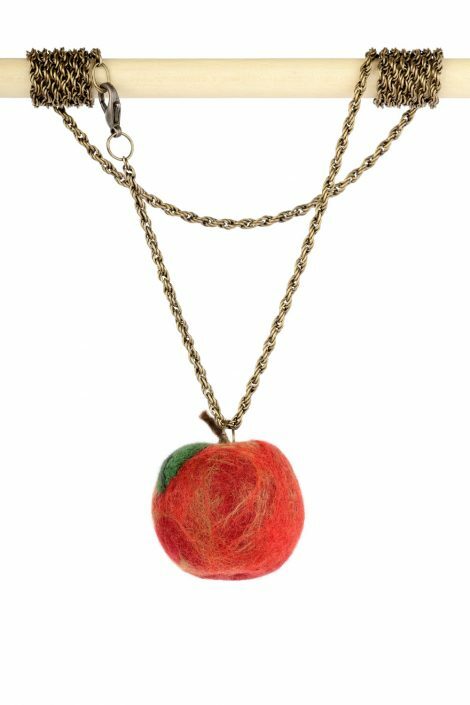 It will be a lovely gift for women and girls, especially if they love kawaii style or accessorize with red. 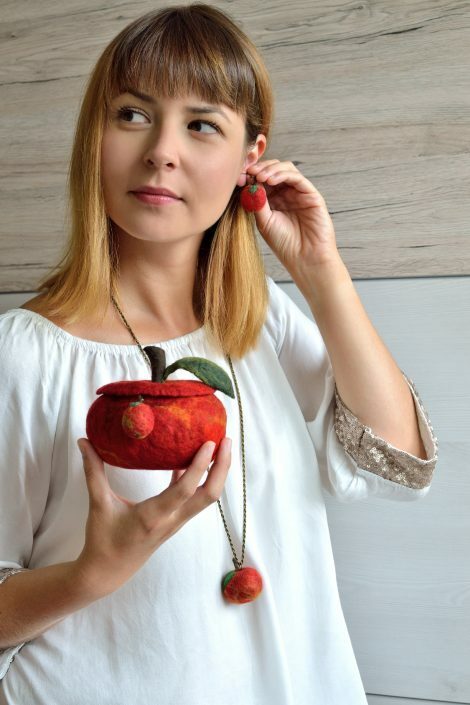 Perfect occasions to give this set of fruit jewelry to your loved ones are Valentine’s Day, Christmas, sweet sixteen birthday and many others. 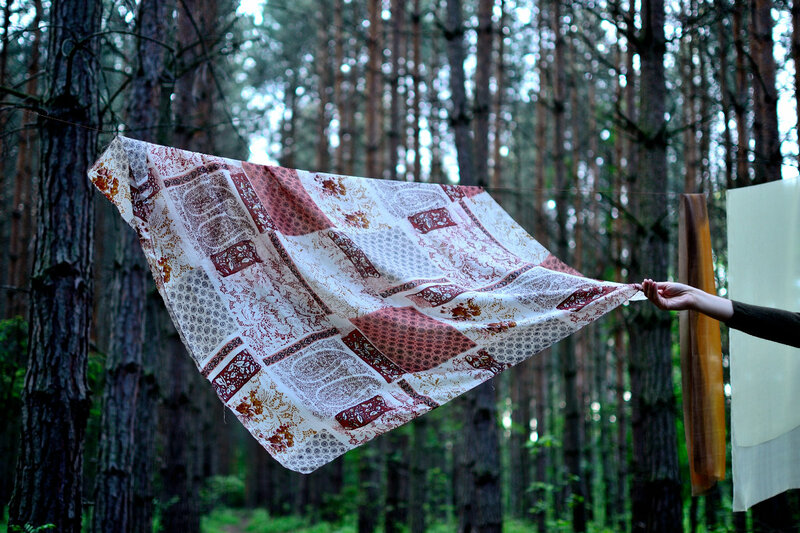 Every piece of this set is a fiber art. 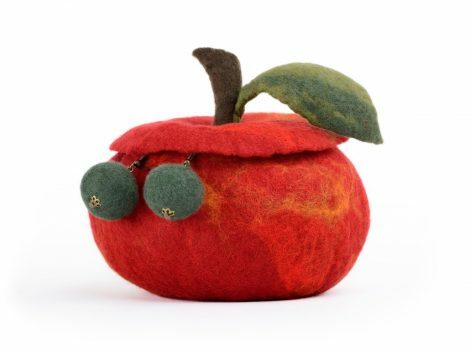 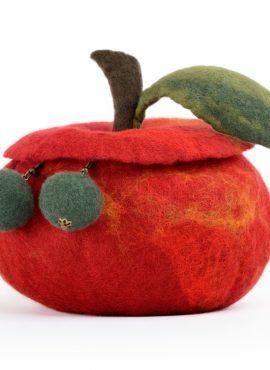 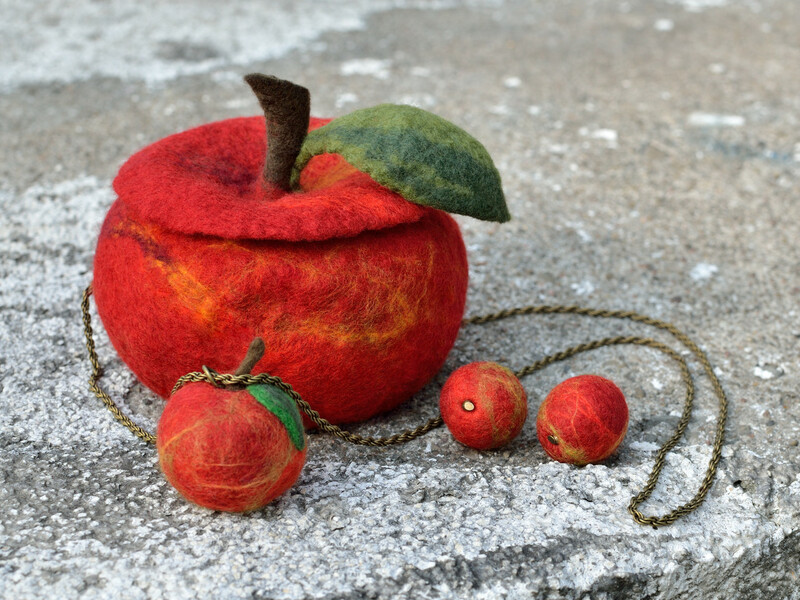 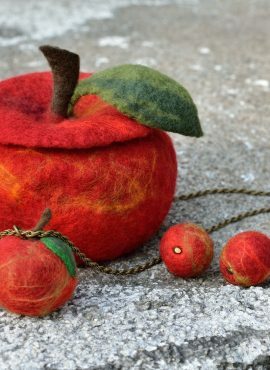 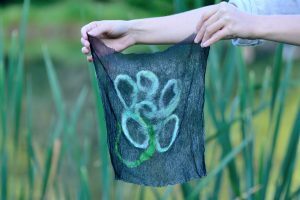 I make all the apples by hand in felting technique. 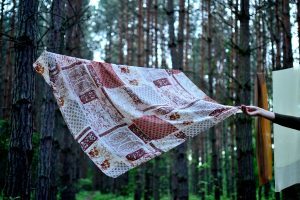 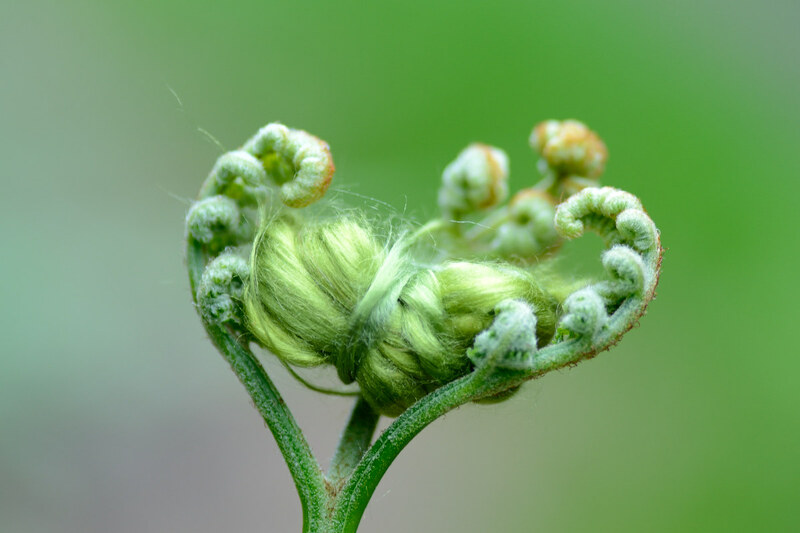 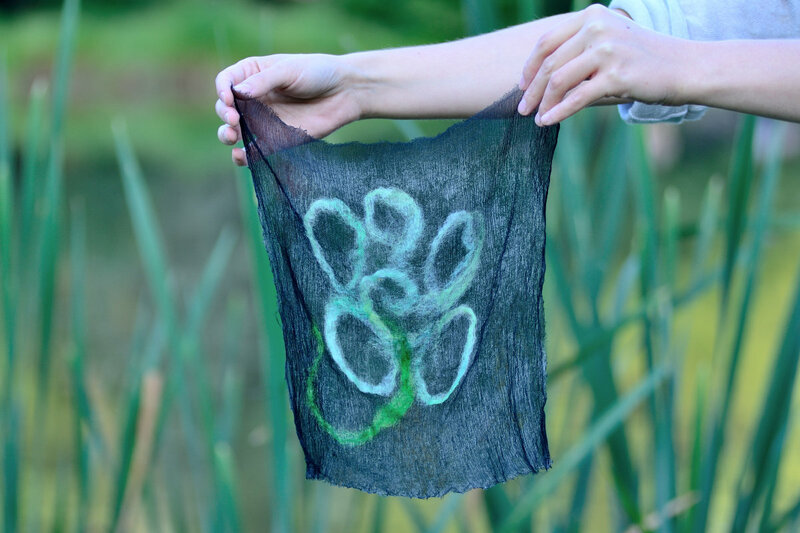 They consist of superfine merino wool, which makes them natural and skin friendly. 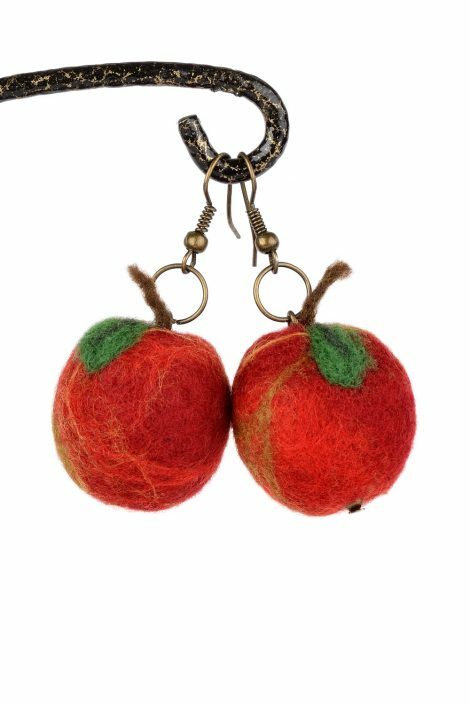 Earring hooks and jewelry chain have a nice antique bronze color that fits the wool perfectly. The box itself can be used as a storage for this set and as a lovely jewelry holder. 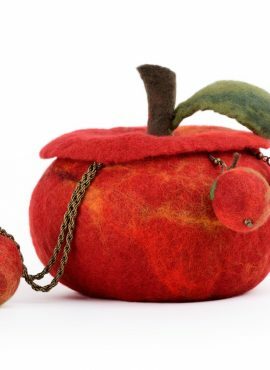 It is a cute home decor and if one puts it on a shelf or dresser, it will give a magical look to every room. 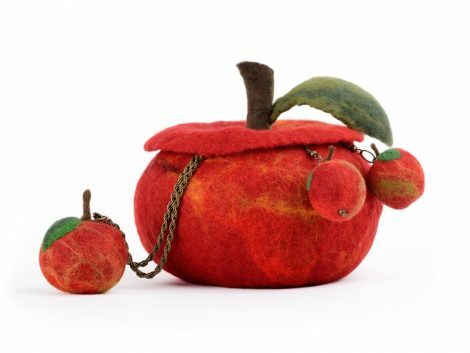 If you need more details on this apple jewelry set, check the following dimensions. 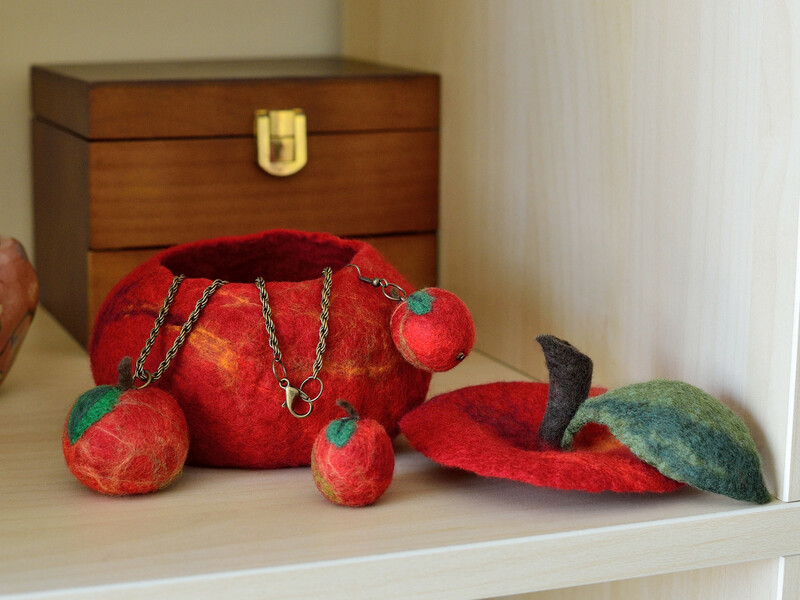 You can also visit individual auctions, where you can buy each of the three pieces separately. 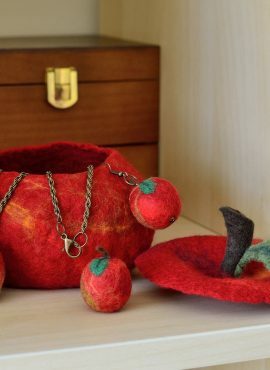 Each of them will work as a unique gift for her.